Light acacia wood. A zen silhouette. A slatted, angular top. 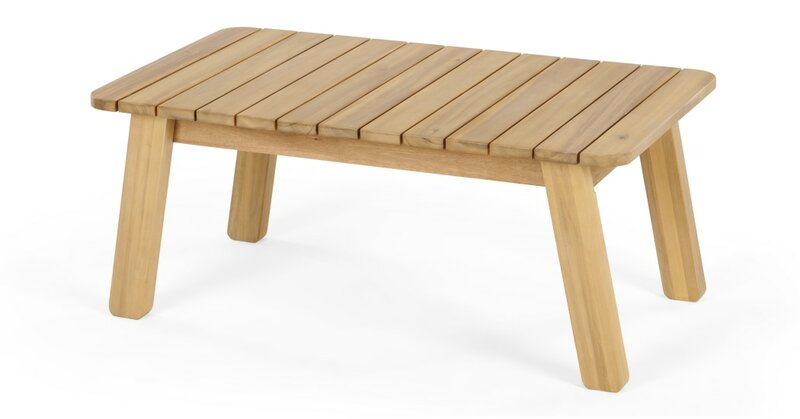 There's lots to love about our Jala outdoor coffee table. This coffee table's the perfect size for a pitcher of water, your latest read, and your iPhone in summer – you'll only have to head in when the sun sets. In light wood, with its matching chairs having a mid-century silhouette with a Scandi colour palette, the Jala collection gives you options: style it how you'd prefer.